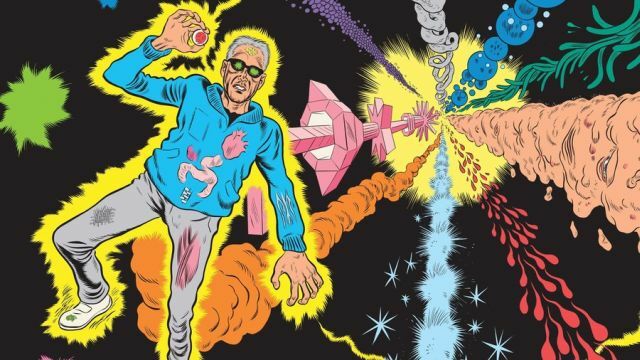 Focus Features has announced they’ve acquired the film rights to Academy Award nominee Daniel Clowes’ latest graphic novel, Patience, and have enlisted Clowes to write the script for the adaptation. Published by Fantagraphics in March 2016, Patience spent 19 weeks on The New York Times Best Seller List. Focus will hold worldwide rights to Patience as part of the company’s renewed global initiative. The story explores the lengths to which one man will go, and the sacrifices he will make, for the love of his life. When his wife Patience is murdered, Jack falls into a deep pit of anger, grief, and guilt. Ten years later, he learns of a time machine that might allow him to fix things. From there, he plunges into a psychedelic journey through Patience’s past and the events that shaped her into the woman he knew and loved. Clowes has an extensive work in both comics and the feature adaptations of his work, landing an Academy Award nomination in the Best Adapted Screenplay category for Ghost World (which he scripted with director Terry Zwigoff). He also penned the script for the forthcoming adaption of his graphic novel Wilson; directed by Craig Johnson and starring Woody Harrelson and Laura Dern, Wilson will be released in March 2017 by Fox Searchlight Pictures. Some of his other works include the comics series Eightball; the graphic novel David Boring; and the short story collection Caricature. In 2011, he received the PEN Literary Award for Graphic Literature.